The election of 1824 is commonly viewed as a mildly interesting contest involving several colorful personalities—John Quincy Adams, Andrew Jackson, Henry Clay, John C. Calhoun, and William H. Crawford—that established Old Hickory as the people's choice and yet, through "bargain and corruption," deprived him of the presidency. 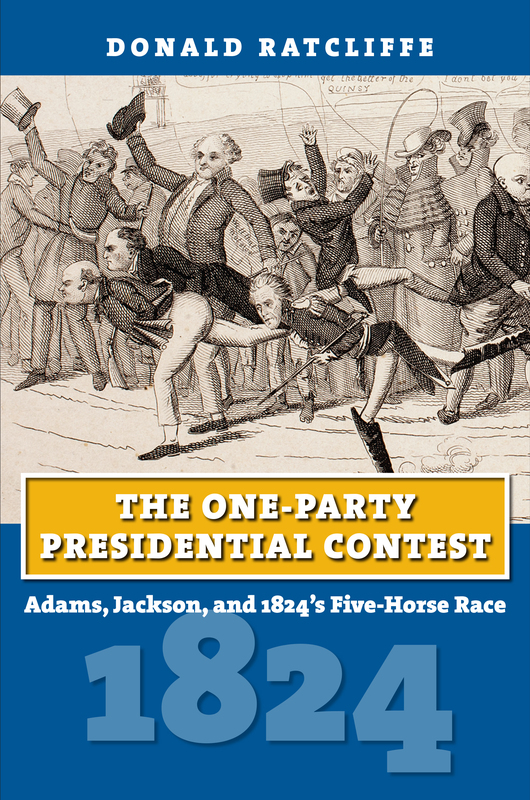 In The One-Party Presidential Contest, Donald Ratcliffe reveals that Jackson was not the most popular candidate and the corrupt bargaining was a myth. The election saw the final disruption of both the dominant Democratic Republican Party and the dying Federalist Party, and the creation of new political formations that would slowly evolve into the Democratic and National Republicans (later Whig) Parties—thus bringing about arguably the greatest voter realignment in US history. Donald Ratcliffe is Emeritus Reader in History at the University of Durham and Supernumerary Research and Teaching Fellow at the Rothermere American Institute, University of Oxford. His many publications include Party Spirit in a Frontier Republic: Democratic Politics in Ohio, 1793–1821 and The Politics of Long Division: The Birth of the Second Party System in Ohio, 1818–1828.